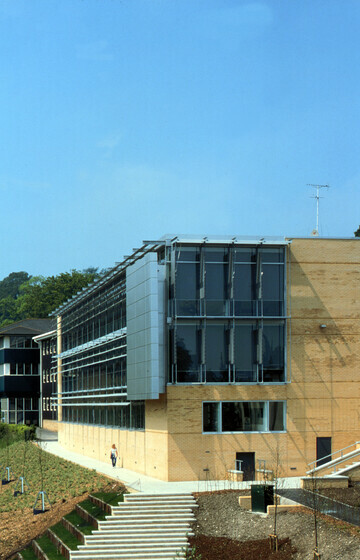 Refurbishment and extension to the existing 1970s three storey Martial Rose Library at King Alfred’s College, University of Winchester. 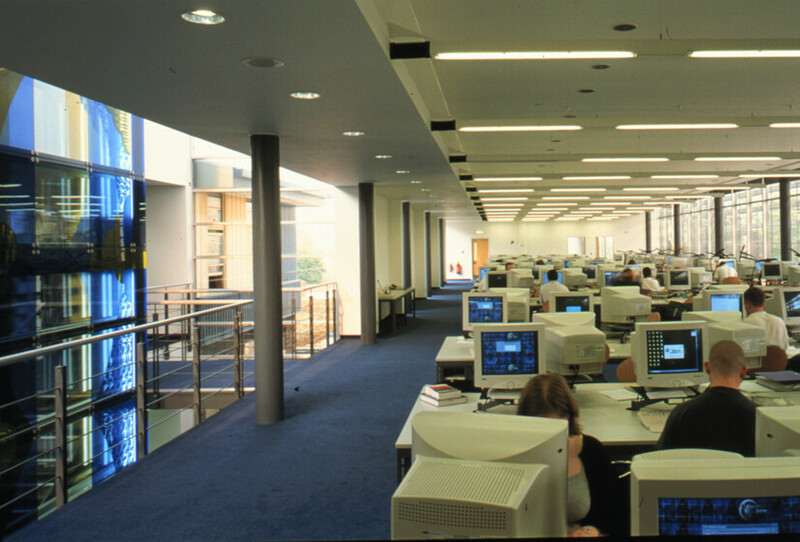 The project provided an additional 1,600m² of reader space plus 130 IT work stations. 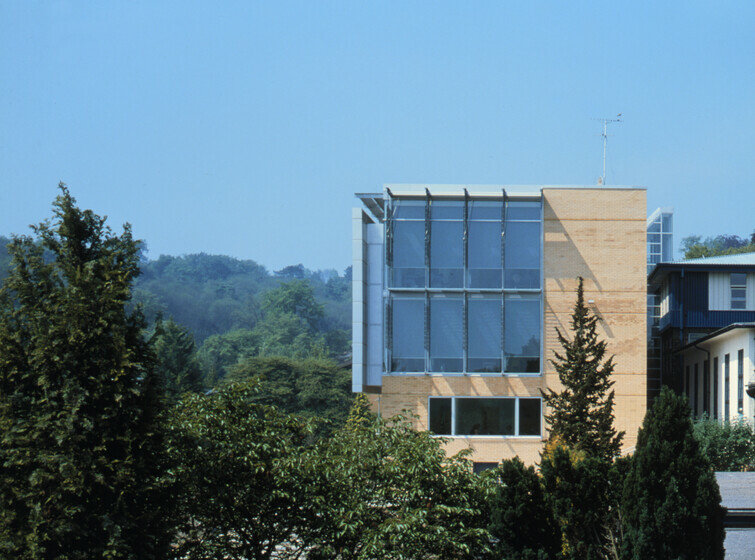 The building faces south and is externally shaded to limit solar gain through the low-e glazed façade. The building is heated and ventilated using the Termodeck system, with air treated at a central plant, then diverted through the precast concrete floor planks for delivery to the spaces below. The conditioned concrete slabs serve as heat sinks, stabilising internal temperatures throughout the day. 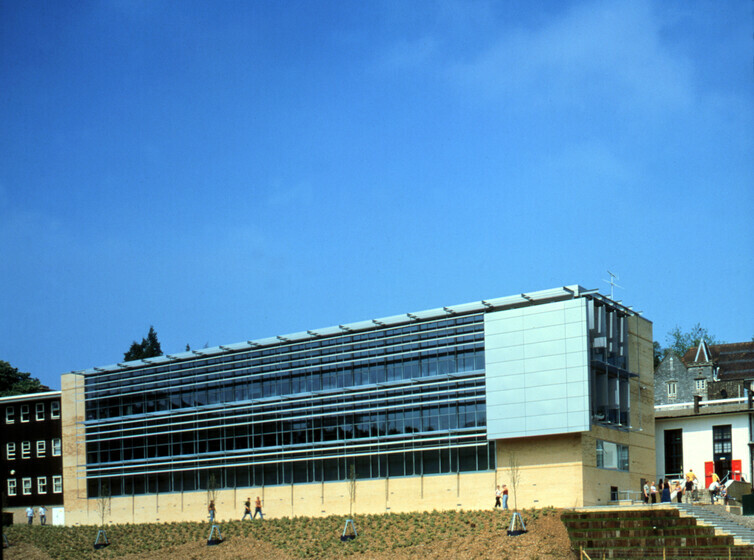 The target heating energy consumption for the library is less than 50 kWh/m²/yr.